Steve Battle is an undercover agent. Exactly for whom he works undercover is not known for the first two adventures but in the third it is revealed that he is the "ace trouble-shooter of the U.S. State Department's Counter-Espionage Division". 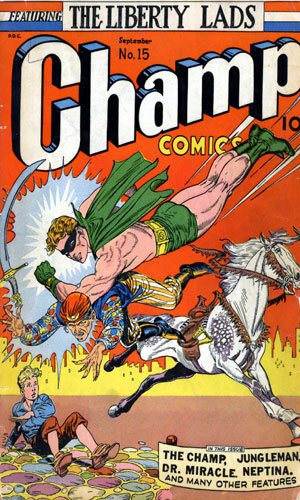 He seems to be headquartered in the nation's capital where he "finds plenty of fast, dangerous action". Battle may go with the subtitle of "Undercover Agent" but the adjective seems considerably misplaced since a whole lot of people know him on sight and ask for his help in solving some pretty nasty problems so there is little doubt they know what he does for a living. This despite the fact that without trying to wear any disguise, he is a dark-haired operative for the first three adventures and a blond for the last two. Having said that, at least many of the people Battle is familiar with are either high-placed in the government or rich, such as Hugo Belashe, the very rich leading Balkan munitions dealer with whom he was on a first-name basis, at least while the man was alive. Battle is definitely a go-getter who is not the list bit hesitant to jump into things as shown when he at a moment's thought dived off a naval vessel to grab a rope dangling from a launch (why was the rope there in the first place?) and body surf to keep tabs on an enemy spy. He also has a strange attitude towards the dangers of his job, demonstrated when after taking on a spy ship's crew singlehanded, Battle dismisses his work by saying "Fighting a mob like that is easy once you've tried it." 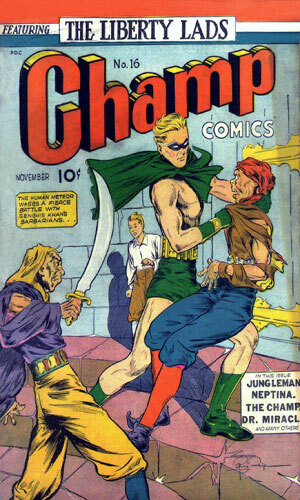 From Champ Comics #13 - Undercover as a Marine Reserve Officer, Steve Battle learns that a man masquerading as a concert pianist is really Stuba, "the most dangerous spy in America", out to get some plans from an Admiral by duping his daughter. 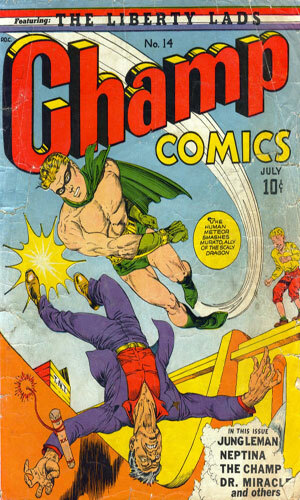 From Champ Comics #14 - The embassy of Bovila in Washington, D.C., has been destroyed by an explosion. Missing are some secret documents vital to helping that nation gets its freedom back. Steve Battle arrives to help the ambassador get the papers back from the spies who stole them and blew up the building. 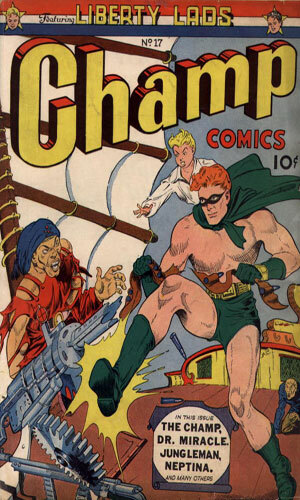 From Champ Comics #15 - A U-boat sneaks up the Potomac and spies go ashore to kidnap someone. The abduction is spotted by a US Senator who calls Steve Battle to come help. 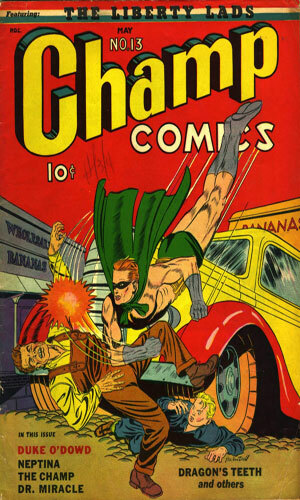 From Champ Comics #16 - Possibly in the wrong place at the right time, Steve Battle is spotted by a couple of foreign spies who fear he is there to stop them so they attack without warning. That leads to Battle finding a plot to free a captured vessel. From Champ Comics #17 - Steve Battle is on hand to watch a millionaire donate his yacht to the government to use as a patrol boat. Taking some personal time to go fishing with the rich man's beautiful daughter, Kay, the two come across spies laying mines. There is not enough of this series to like or dislike it. It is just five adventures and each of those is only 4 pages long. Not nearly enough to get any kind of feel for this character so the result is that the grade for Steve Battle is a low one. Not horrible, of course, though there were a couple of oddities in it but not good either. It is not hard to understand why the series left so quickly. It could not have grabbed any audience. It certainly did not grab the attention of the editor/publisher. I did like the fact that unlike so many of Steve Battle's contemporaries, he was not in any military intelligence but instead worked for a special department in the State Department. Had his tales lasted any longer, they could definitely have played off that more.